"This cold is unbearable!" - Not anymore! 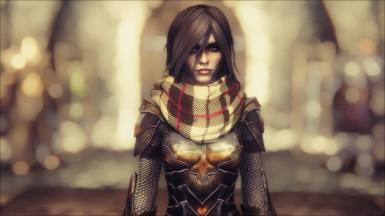 Keeping Warm introduces scarves and mufflers to the world of Skyrim! 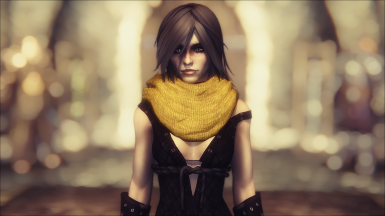 Enjoy the comforting warmth of these neck-hugging, warmth-providing accessories for your character and the people of Skyrim. This mod is provided as-is. You can freely modify and alter the provided files, but you may not upload them without our permission (exceptions being re-textures which use your own work or pure esp modifications like translations). 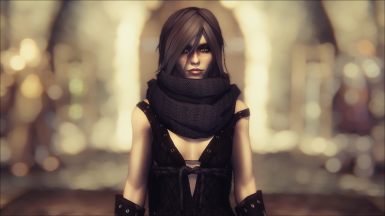 Redistributing this mod and the included files on any other platform or anywhere else than Nexusmods, like the Steam Workshop, without our consent is not(!) permitted. 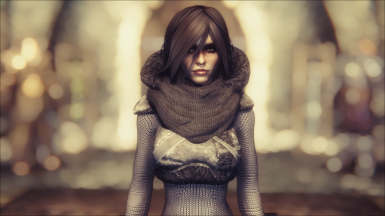 This mod is built upon work of others and we do NOT have the rights to share the permissions, please contact the original authors first and then us (if you want to use our improved meshes and textures), links are given throughout the mod-page. Thanks to the original authors which mods we built upon on! Without their previous work, this mod wouldn't exists. 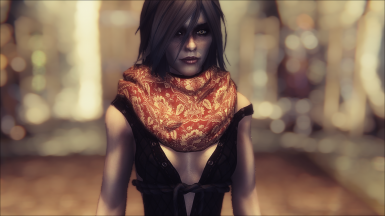 Also a great thanks to CyborgArmGun, she has done a lot of work on this mod as well and without her this mod would have taken a lot longer and would lack certain features. Welcome to "Keeping Warm - Scarves and Mufflers"! What do you use to keep yourself warm on cold days with snow blowing outside? Sure: thick clothes, a pair of warm boots and gloves, but there is something else to keep you warm: Scarves and Mufflers. There were a few mods adding those accessories into the world of Skyrim, so we decided to clean them up, pack them together, add more awesome features™ and deliver them right to your hard-drive! 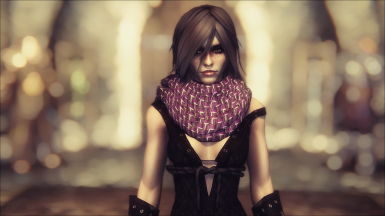 Now you and the people of Skyrim can enjoy warm, comfy scarves and mufflers. They even provide protection of the cold and come in many stylish color variations, some even match the corresponding faction and will be added appropriately! 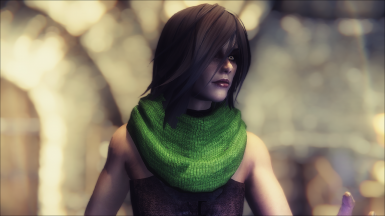 Due to a lack of interest in continuing to mod Skyrim, I've pretty much dropped most of my work, this includes KW. Most of the work is now passed on to CyborgArmGun, who also created the SE version. 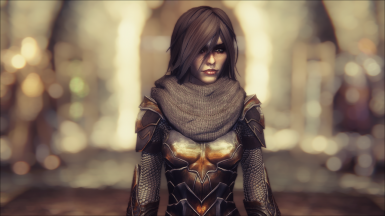 Open the Frostfall MCM and navigate to “Armor & Clothing”, and select “Set Protection” for the corresponding piece. You can then choose a description that you feel matches the equipment, or, set the values manually. 2.) Use your favorite mod manager (preferably MO or NMM) and install the zip just like you would install any other mod. 3.) Using the fomod select the options fitting your setup (bodytype) and choose your optional stuff as well. We highly recommend using the optional textures. Those are high quality, great looking textures made by great people. 4.) Load-Order doesn't matter for this mod. 5.) Don't forget to active the ESP! It's required for the mod to function properly! All items can be crafted at any tanning rack in-game. There are no perk restrictions, but you need the required materials for crafting the items. We offer UUNP and CBBE BodySlide support, so download the appropriate one and unzip them into their respective folder under "CalienteTools\BodySlide\". The mod is safe to uninstall mid-game. There are no scripts or anything that would leave traces. 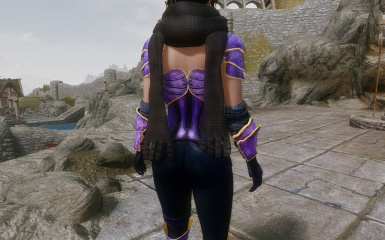 Of course, all scarves and mufflers will disappear completely from you, your inventory and the NPCs. If you chose to install it manually, you will have to remove "Keeping Warm.esp" and remove the "SaMoS"-folders in both the "textures" and "meshes" folders. Outside of that nothing else should have to be done. Merging the mod should work without a problem, there shouldn't be anything able to break the merging process. The armor occupies slot 45, so you won't be able to equip any other items using that slot at the same time. The only real compatibility problem that should come up are the leveled lists. If you have any mod overwriting the leveled lists provided by this mod, you won't have NPCs wearing them. The best way to resolve this kind of conflict is using either a bashed or a smashed patch. Without their previous work, this mod wouldn't exist. Special thanks to CyborgArmGun, she helped making this mod a great deal. 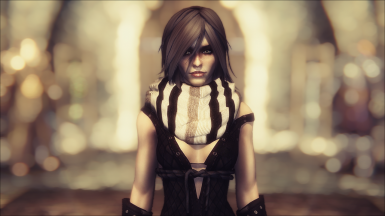 Special thanks to Elianora, she created new textures for the mufflers and provided some beautiful screenshots.